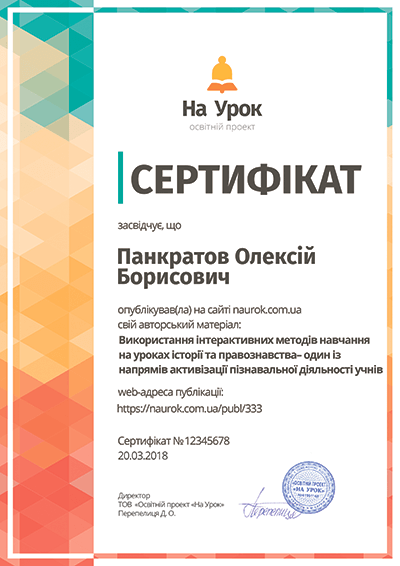 У розробці - один із видів роботи з англійської мови у позаурочний час, а саме гра-подорож у музичну країну «Бітломанія». Захід покликаний створити позитивну мотивацію до вивчення англійської мови; ознайомити учнів із життєдіяльністю та творчістю учасників англійської групи “Beatles"; популяризувати вивчення англійської мови. У розробці - один із видів роботи з англійської мови у позаурочний час, а саме гра-подорож у музичну країну «Бітломанія». Захід покликаний створити позитивну мотивацію до вивчення англійської мови; ознайомити учнів із життєдіяльністю та творчістю учасників англійської групи “Beatles”; популяризувати вивчення англійської мови. Освітня: розширювати мовленнєву компетенцію учнів; вчити розуміти і вживати у мовленні англійські пісні; формувати соціокультурну компетенцію. Teacher: Good afternoon, dear students. Do you know why we all gathered today in this room? Do you know who in these photos and what is the name of this music band? Have you ever heard songs from this music band? 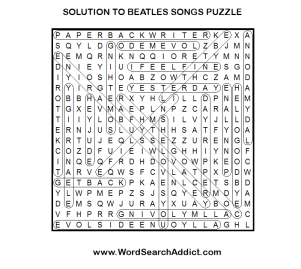 Today you will learn about the Beatles musicians, listen to their songs and play interesting games. Are you ready for a trip to the country "Bitlomania"? 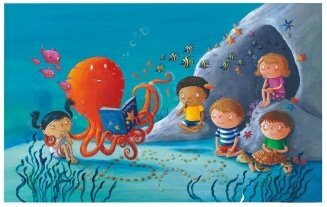 Narrator 1: The celebration in honor of the Liverpool Four has been celebrated since 2001 by the decision of UNESCO. The date is not random. On January 16, 1957, the club The Cavern opened in Liverpool, where young musicians John Lennon, Paul McCartney and George Harrison started their journey to fame. A couple of years later they joined one more future "beatle" - Ringo Starr. 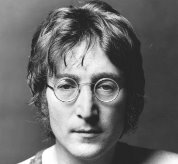 John Winston Ono Lennon, (born John Winston Lennon; 9 October 1940 – 8 December 1980) was an English singer, songwriter, musician, and peace activist who co-founded the Beatles, the most commercially successful band in the history of popular music. He and fellow member Paul McCartney formed a much-celebrated songwriting partnership. 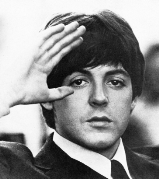 Sir James Paul McCartney, (born 18 June 1942), better known as Paul McCartney, is an English singer-songwriter, multi-instrumentalist, and composer. He gained worldwide fame as the bass guitarist and singer for the rock band the Beatles. George Harrison (25 February 1943 – 29 November 2001) was an English guitarist, singer-songwriter, and producer. His songs for the group included "Taxman", "Within You Without You", "While My Guitar Gently Weeps", "Here Comes the Sun" and “Something”. Sir Richard Starkey (born 7 July 1940), known professionally as Ringo Starr, is an English drummer, singer, songwriter and actor. He wrote the Beatles' songs "Don't Pass Me By" and "Octopus's Garden", and is credited as a co-writer of others, including "What Goes On" and "Flying". 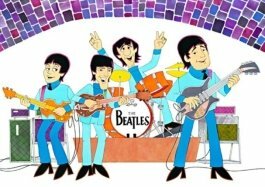 Narrator 1: The Beatles were an English rock band formed in Liverpool in 1960. Later on January 16, another significant event in the history of The Beatles took place: on this day in 1964, the Cashbox magazine appropriated the song "I Want To Hold Your Hand" first place in the American hit parade, after this single sold off million copies in just 10 days. Teacher: I invite you to watch their performance on television. Narrator 1: In the usual "The Beatles" team, they worked for eight years. During this time, they officially released 13 albums, each song of which became a real hit. 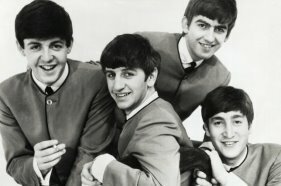 The world recognition group received in 1963 after the release of the single "Please Please Me". Narrator 2: From this moment on the planet began the madness, which was called "bitlomania". The girls were "crazy" about the Liverpool boys. Teacher: And now I suggest you have a crossword puzzle on the songs of the Beatles group. Each team consists of 8 participants. 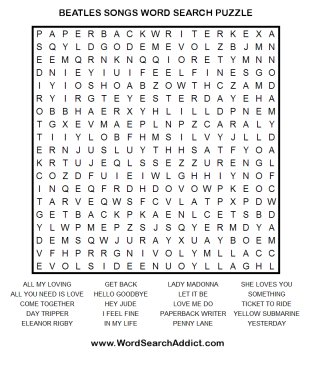 In a crossword it is suggested to find and circle 20 songs. There are 5 songs for 2 students, 4 groups in each team. Each group circles their songs with a multi-colored felt-tip pen. The first group is green, the second one is red, the third is blue, the fourth one is orange. The team that will complete the task first will win. Teacher: It's time to check you for speed. 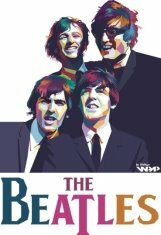 The team that will quickly create a poster with a photo of the Beatles group will win this competition. Teacher: Dear students. 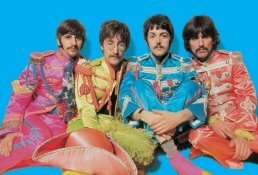 Today you learned about members of the Beatles musical group, about their activities and creativity. You played games, sang songs. I'm sure you have a desire to learn more about this great music band, to learn their songs. Only English knowledge will help you understand these songs. 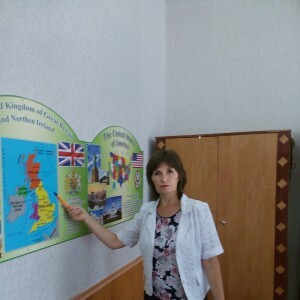 Learn English with great pleasure!